Have you been arrested for driving under the influence of drugs or alcohol? If so, do not wait any longer to retain the representation of my firm. Attorney Joseph Bernard is ready to fight your DUI or OUI charges with you, inside and outside the court. In the state of Massachusetts, DUI and OUI offenses are heavily penalized. To effectively overcome your OUI or DUI charges, you need personalized defense strategies and aggressive representation. 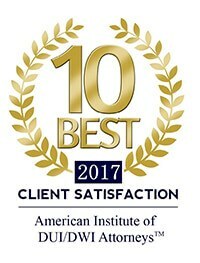 With over 20 years of legal experience, and a track record of success, you can be confident that Attorney Bernard is fully equipped and qualified to represent your case next. Attorney Joseph Bernard has successfully defended countless individuals who have been charged with OUI and DUI. 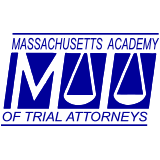 As a Massachusetts DUI/OUI lawyer and former assistant District Attorney, Attorney Bernard knows how prosecutors think and how they operate, and he is prepared to use this knowledge to your advantage. When you work with Attorney Joseph Bernard, he will review your case, inform you of your rights and legal options, and help you build an effective defense strategy that is aimed at securing the most favorable outcome possible. With a former prosecutor by your side, you can be confident that your case is in good hands. Attorney Joseph Bernard will address each of your concerns and answer all your questions in order to help you obtain the peace of mind that you deserve. Do not risk your future. You cannot afford to plead guilty without first putting up a fight. Attorney Bernard is ready to be by your side every step of the way.